Are you tired of the junk you have accumulated over the years? Are you remodeling a home? RMS Container is your answer to getting rid of the junk by saving time and money with our dumpster rentals. We offer affordable dumpsters and containers in Omaha and the surrounding areas. Our roll off containers are all professionally made here locally in Omaha. RMS Dumpsters are painted to look presentable in your driveway. We will drop off your rental dumpster, you'll fill it up, and we take it away. It's that easy. Convenience is king and that includes being able to pay your bill. Our dumpsters in Omaha can be rented easily with cash and check payment methods. Have Your Roll off Container Today!  RMS Container is the team you want to get rid of your junk. With a variety of dumpster sizes in Omaha and the surrounding areas, we always have the dumpster rental you need.